Plast Pre-Cut foamed PVC scenery element. The Semi-detached house is inspired in Northwestern Europe architecture. This kind of building could be found in different villages or cities in Northwestern Europe. It can be used as scenery for 28mm WWII miniature war games. 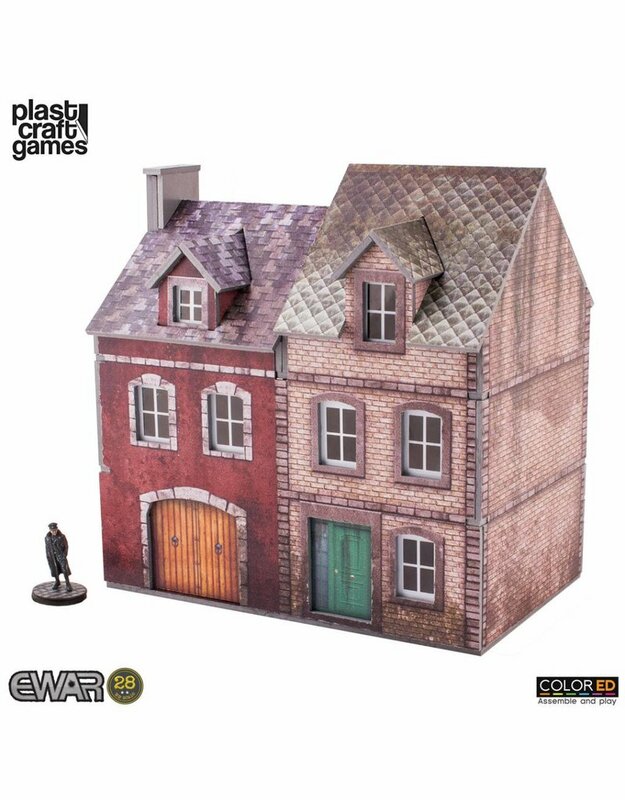 The Semi-Detached Building comes in a pack including different foamed PVC pieces and pre-painted plastic windows. Some of the pieces come in a PVC sheet and you will need to cut the connections that fix them to the PVC sheet.